2014 will be remembered as the year of completion for Tokamak Complex foundations. The final pour of the B2 basemat slab took place on 27 August, marking the conclusion of four years of complex and challenging work that included the excavation of the Seismic Pit, the construction of the ground-level basemat and retaining walls, the installation of 493 seismic columns and pads, and the finalization of the concrete "floor" of the Tokamak Complex. Other dramatic changes also took place in 2014 on the ITER platform. In April, the imposing workshop for cryostat assembly became one of the most visible features on the platform as its metallic structure was completed; later in the year, five giant cranes were progressively installed in and around the Tokamak Pit. 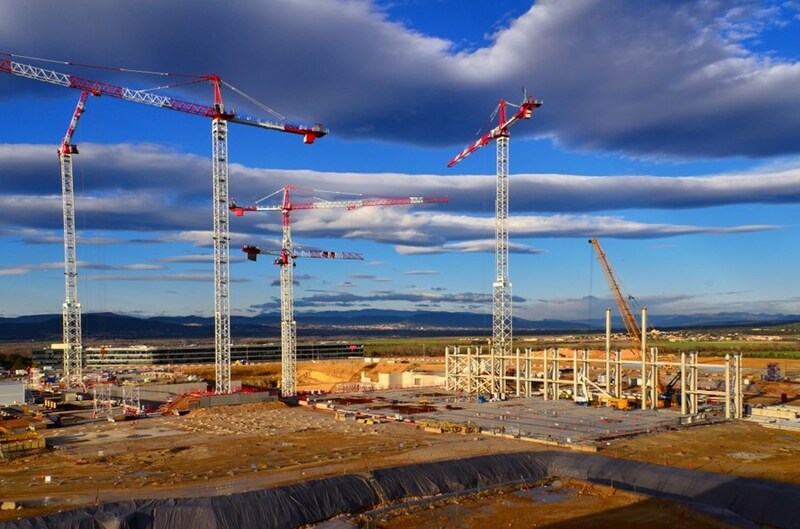 A spectacular verticality was added to the ITER landscape, visible from afar and conveying to all the strong message of construction progress. Meanwhile, in the factories on three continents component prototyping and manufacturing progressed and, in some cases, components were readied for shipment. In a milestone that marked the beginning of a new phase for the project, the first plant system components were delivered to the ITER site on 4 September. In a few days, we will enter 2015 , which marks the 30th anniversary of the Geneva Summit, during which the ITER Project received a decisive political push from Soviet General-Secretary Gorbachev and US President Reagan. The images that we have assembled in this special end-of-the-year issue of Newsline illustrate how a long-nurtured dream has turned into a solid, spectacular and exciting reality. Newsline will be back on 5 January 2015.